The City of Palm Coast proudly presents "The Citizen's Academy" classes, designed to educate residents about the operation of city government. There are now two options for participation – an in-person, five-week Citizens Academy held three times a year; and the new Virtual Citizens Academy. Registration for the in-person program is limited to 30 City of Palm Coast citizens per session. The classes typically meet on Monday evenings for five straight weeks, followed by graduation at a City Council meeting on a Tuesday. Register for upcoming sessions below. The Virtual Citizens Academy is an online program that you can conveniently complete on your own schedule from the comfort of your home. The classes include an overview of City government and modules about the operations of each of the City's nine departments: Administrative Services & Economic Development, Community Development, Finance, Fire, Human Resources, Information Technology, Parks & Recreation, Public Works and Utility. The classes are a combination of video, photographs and text. 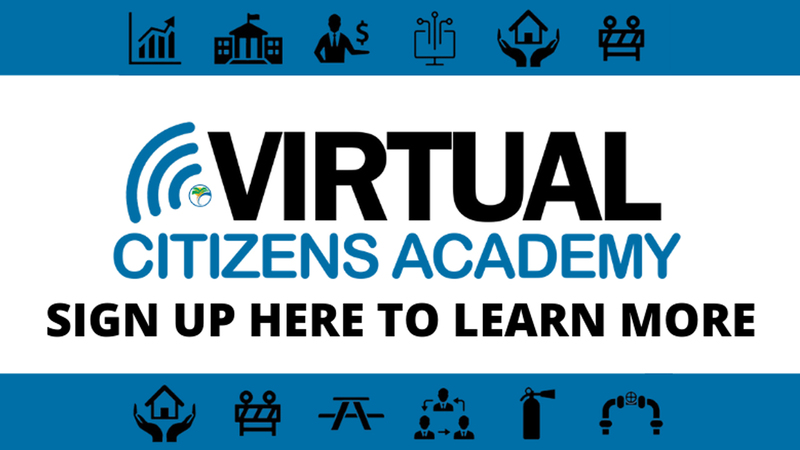 Click on the Virtual Citizens Academy Box to get started.